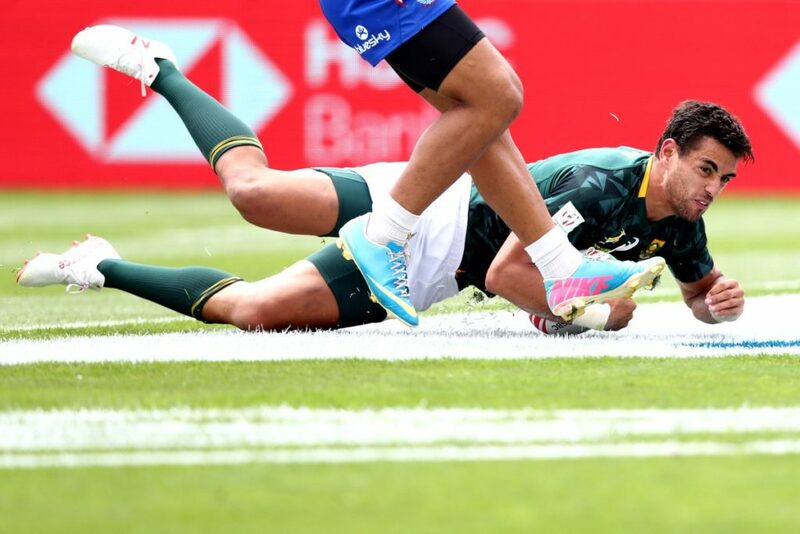 A three-try second-half blitz saw the Blitzboks claim a 28-19 win over Samoa in their Cup quarter-final in Hamilton on Sunday. DYLAN JACK reports. The Blitzboks will next face Fiji, who hammered Canada 33-7 in the Cup semi-finals. Kick-off is at 5:14am (SA time). It was a less-than-ideal first half from the Blitzboks as they struggled to deal with some typically big hits from the Samoans. 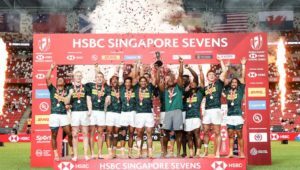 However, three tries in three minutes in the second half, including one to standout substitute Selvyn Davids, saw the Blitzboks run out comfortable winners, despite Samoa scoring a late consolation try in stoppage time. A competitive start from both sides saw Samoa just edge it in terms of possession and territory as they caused the South Africans plenty of problems at the breakdown. They took a deserved lead when, after working their way into the Blitzboks 22, David Afamasaga powered over the line for the opening try. However, the Blitzboks hit straight back when Branco du Preez made a good run to take them just outside the Samoa 22, before Chris Dry broke through to level the scores at 7-7. 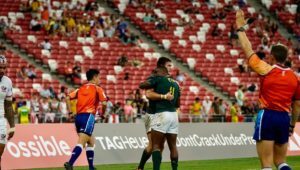 The Blitzboks had a magnificent opportunity to take the lead in stoppage time of the first half, with a lineout in Samoan territory, but a handling error from Du Preez gifted possession back to the Samoans who went straight on the counter-attack, ending in Alatasi Tupou scoring to give them a 12-7 lead. It was a much better start to the second half for the Blitzboks as Davids scooped up a loose ball to start an attack which eventually saw Dewald Human dot down. 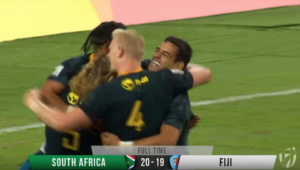 Davids then won a turnover inside the Samoan 22, quick-tapped and popped the ball to Justin Geduld, who sent it wide to Werner Kok as the Blitzboks started to take control of the game. 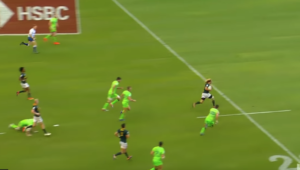 The Blitzboks won possession straight from the kick-off and Davids managed to grab a try for himself as he stepped inside into a gap in the Samoan defence. It was Samoa who had the final say of the match as Danny Tusitala finished off a break from inside their own half.